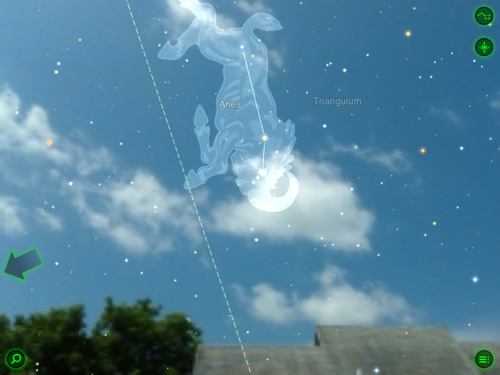 I consider the augmented reality feature of Star Walk to be its coolest new feature. Whenever I show the students in my high school Earth Science classes this feature, all I hear are oohs and aaas. Using the iPad’s built-in camera, the astronomical features of the sky, be it day or night, are superimposed over your actual view. In a word, it’s awesome. Vito Technology also teamed up with the ESA (European Space Agency) to develop the Spectrum Bar in Star Walk. This is the only app of its kind to feature this, and as a science enthusiast I think it’s a great addition to the app. When using the Spectrum Bar, you can slide your finger up and down to change the wavelength of light you’re observing. Observing stars of different colors and wavelengths is a real plus for any science educator. The Time Machine feature is interesting too. 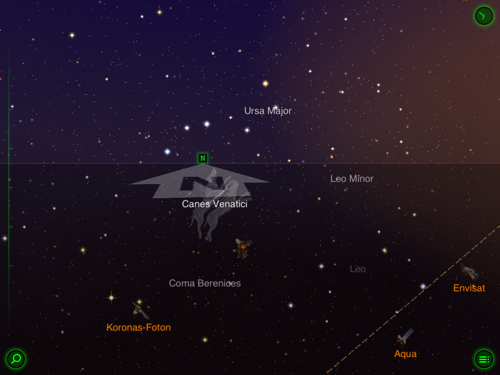 You can program Star Walk to display the sky as seen from your location at any time in the past or in the future. I use this in my own classes to show how the positions of constellations such as Ursa Major change in relation to Polaris over the course of the year. If you’ve ever been fortunate enough to see the ISS (International Space Station) do a flyover at your location, you can attest to how memorable it truly is. I’ve actually had the delight of seeing it fly over with the space shuttle closely in tow. 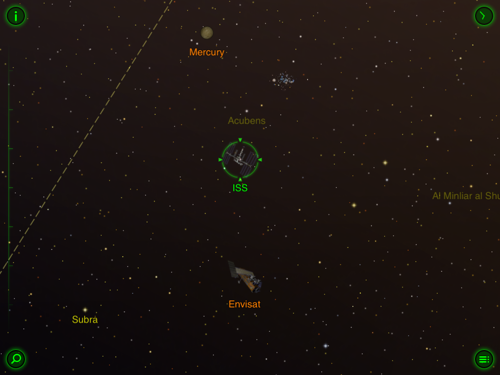 With Star Walk’s satellite tracking feature, you can tell exactly where satellites (and space stations) are at any given time, and you won’t miss these amazing views. 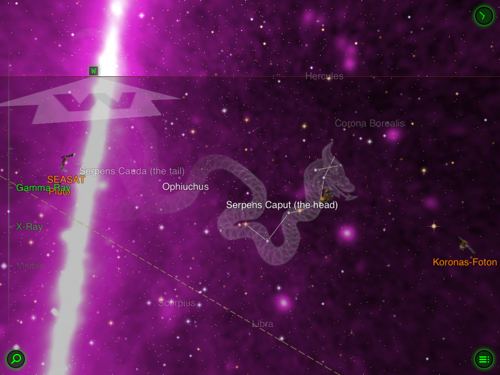 In addition to being one of the prettiest astronomy apps with amazing graphics, Star Walk is also a member of Moms With Apps. This is a collaboration of developers who make apps that are friendly to children. As a teacher I truly respect this philosophy and stand behind it completely. I continue to use Star Walk regularly, not only as a teacher, but just for my own pleasure when viewing the night sky at home. If you haven’t taken a look at what I consider to be one of the App Store’s preeminent apps, do yourself a favor and download it today. 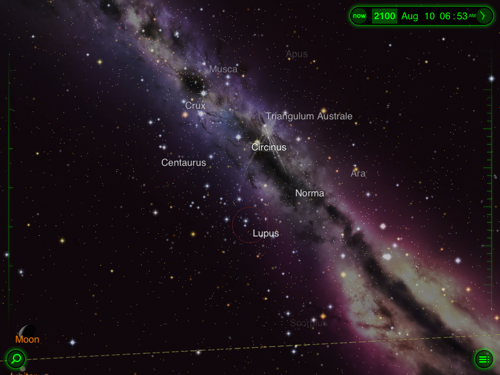 At $4.99 for the iPad and $2.99 for the iPhone, Star Walk is a great value.